The goal of the two-day meeting in Seattle was to learn about each other’s emergency response programs and to discuss the possibilities of collaborate in the future, according to Glen Watabayshi, chief of the Emergency Response Division’s Technical and Scientific Services Branch. During the meeting, Watabayshi presented our oil spill response and planning tools including the GNOME modeling software and TAP trajectory planning software. Jill Petersen explained Environmental Sensitivity Index mapping and methodology. Mark Miller presented the CAMEO software suite and CAFE tool. Other emergency division staff participants included Scott Lundgren, Mark Dix, John Tarpley, Kristen Faiferlick, and Brianne Connolly. 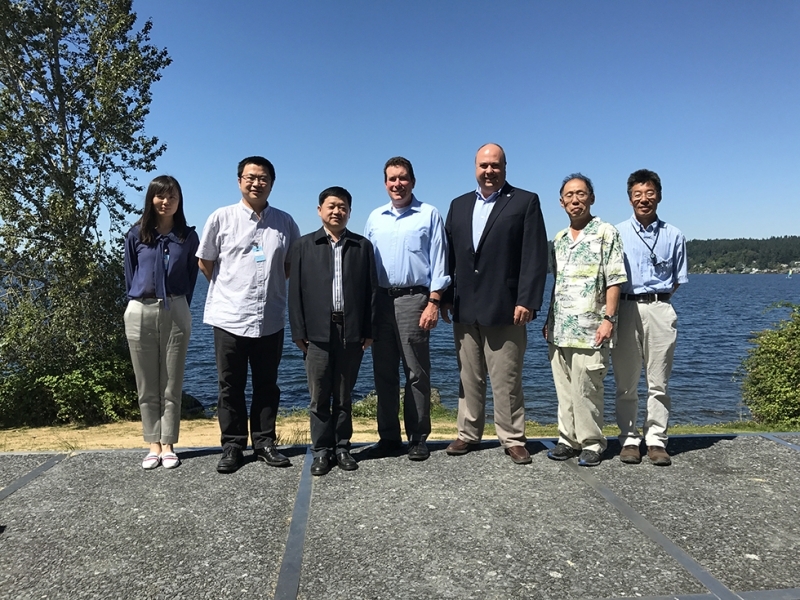 The visiting contingent included executive director Yijun Zhang, senior research scientist Yufei Lin and senior research scientist Jun Tan. The Assessment and Restoration Division also participated in the meeting with Mary Baker presenting information on our environmental damage assessment techniques and tools and Ben Shorr explaining our online response management mapping tool, ERMA®. Jason Lehto from NOAA’s Restoration Center also presented. In addition, Aijun Zhang from NOAA’s Center for Operational Oceanographic Products and Services attended the meeting to help facilitate and act as an interpreter. Glen Watabayshi, chief of the Emergency Response Division’s Technical and Scientific Services Branch, contributed to this article.